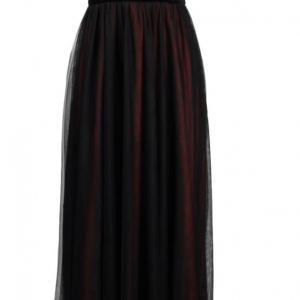 Summer Miss Mizuiro Maxi is made with polyester for that hot summer day, Made in Italy. Rear zipper and sleeveless upper with netting and piped with an interesting stroke of fabric keeps this maxi dress all about the skin! The bodice is embellished with gentle beading to add that special sparkle, so hand wash, please! The Summer Miss Mizuiro Maxi by Deanna Adelle is perfect for your spring and summer collection with its v-neck and is unlined to flow in the gentle breeze when you’re at the beach. Perfect for heeled sandals, or black strappy flats. Pair this up with a beaded bracelet and drop earrings and hit the pavement because that’s all you’ll ever need! You’ll be the one to watch, and when they ask you “Where did you get that?” you can tell them Deanna Adelle! Imported.